I know there’s been a lot of apricoting here lately, but I can’t help it. I don’t know what it is about apricot jam, but the look of it alone is enough to make me crave a delicious pastry of some sort in no time. It’s one of those things I can never pass unnoticed at a cafe or a bakery… you know, danishes, tarts, little bow tie apricot-filled pastries… it’s that delicious glossy and glowing sticky look — one glance and you know you’re in for something cozy and sweet. Thankfully though, the amount of things you can do at home from scratch with just a couple of ingredients and a good jar of jam are infinite. 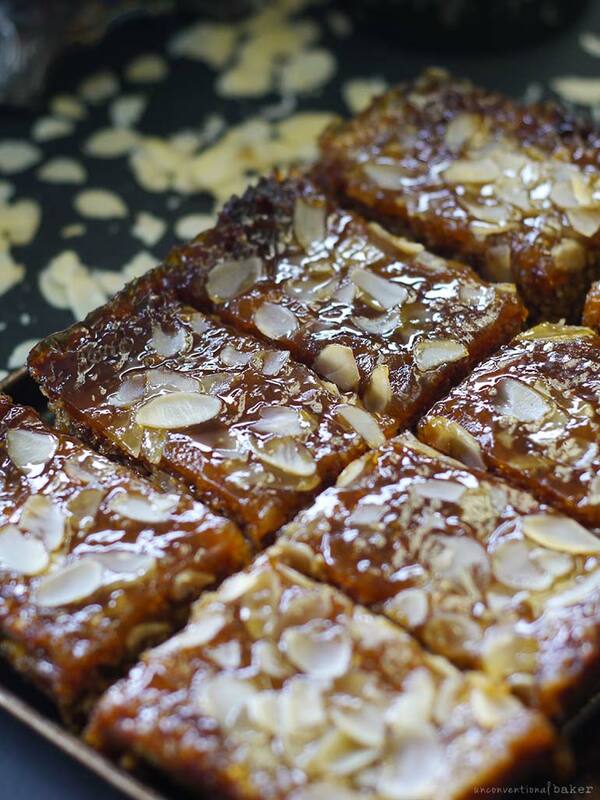 I like these bars for that reason — all the beautiful jammy gooeyness and goodness, none of the fuss or heavy labor. No dairy, eggs, grains, or oils. My kind of fast-lane treat. If you’re into jammy things, also try these raspberry almond jam squares — they are one of the oldest and trustiest recipes from the blog and has remained a great favorite with us. 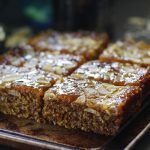 Also, if you’re just into gooey, delicious bars, these coconut macadamia date caramel bars are a nice variation of this recipe. These are great for a takeaway treat or one of those dessert-for-breakfast mornings… Or for second breakfast ? 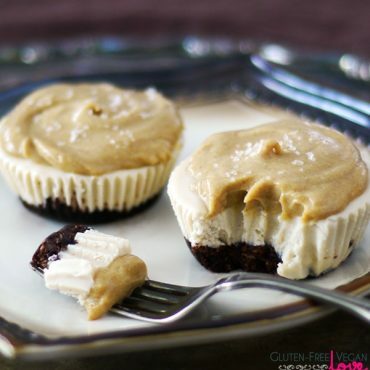 I also included in the directions options to make these nut-free. 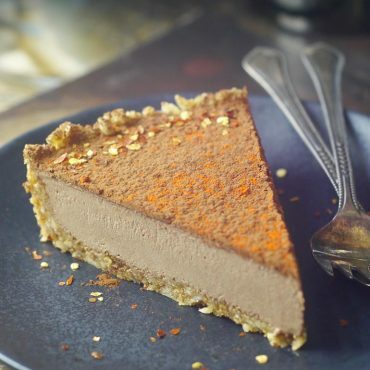 I absolutely love anything and everything almond-apricot, but this recipe is easy enough to modify into a nut-free one if you prefer. 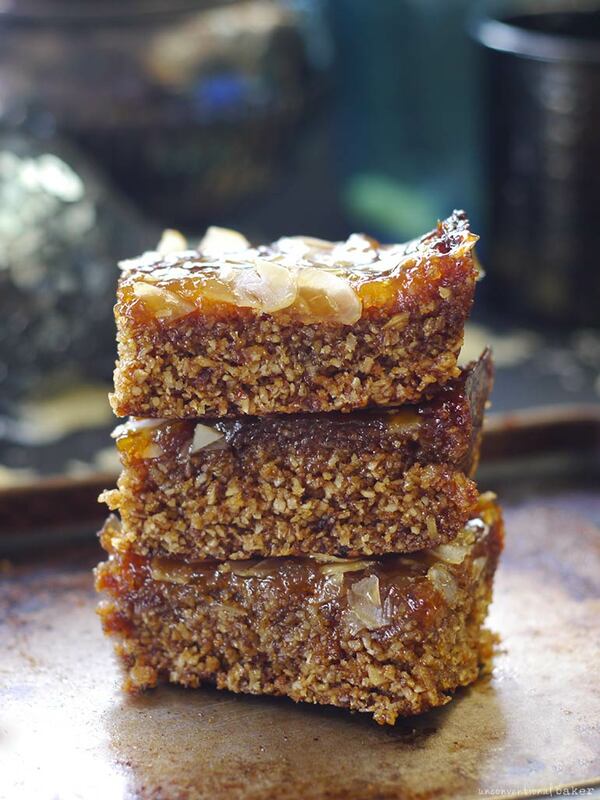 Lastly, if you wanted to make this recipe raw, you could just add 2 tbsp coconut oil to the bars part, fit the mixture into the pan as per directions in step 1, spread jam and almonds on top and freeze for 1-2 hours to set. 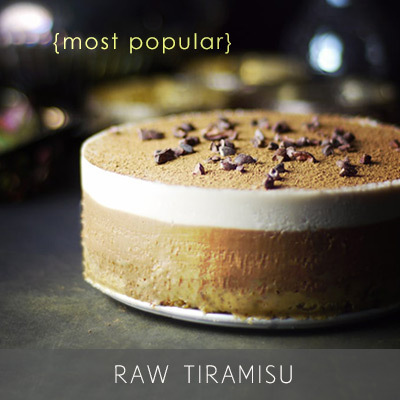 I liked the light and moist texture of the lightly baked version, but if raw is how you roll, the raw version is still a treat. 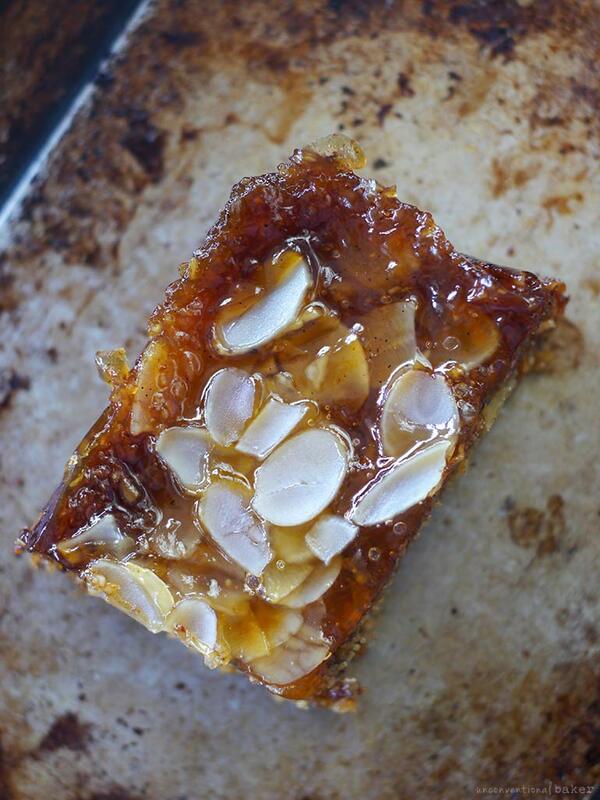 Sticky, sweet, comforting apricot jam bars made gluten-free. 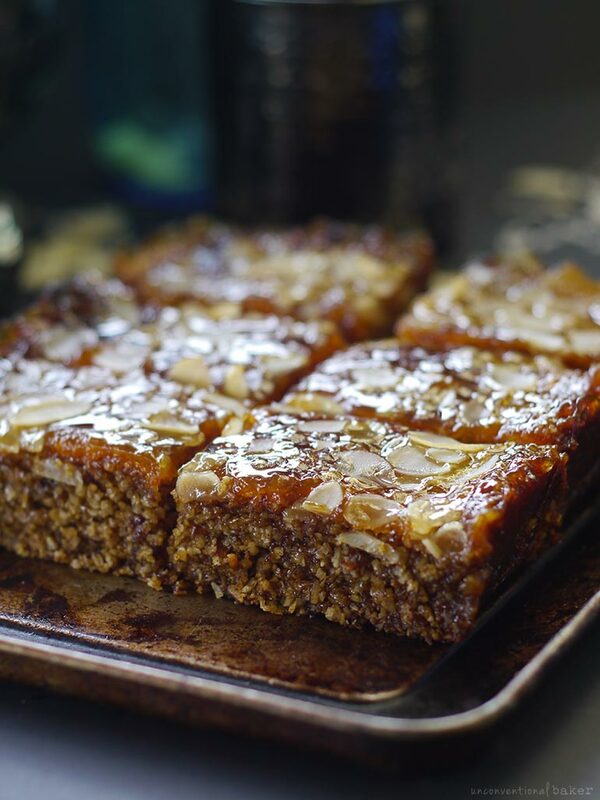 Perfect takeaway snack, or sweet breakfast bar. 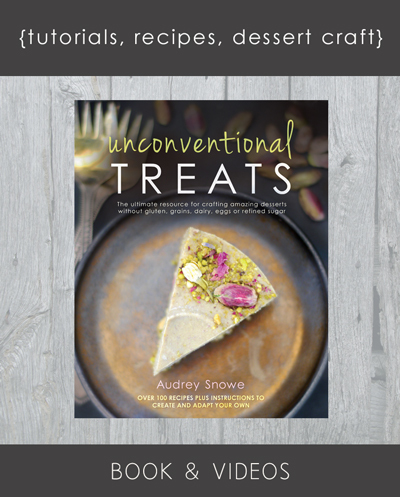 No dairy or refined sugar, nut-free options. Pre-heat oven to 350F. Line an 8″ x 6″ glass tupperware container (or any oven-safe dish of a similar size) with parchment paper and set aside. Process all “bars” ingredients in a food processor into a fine sticky crumble. Transfer the mixture into the prepared pan and press down into a flat even layer. Cover with a piece of parchment paper and press it down even more with a flat-bottomed object to compress the mixture as much as possible. Bake in a pre-heated oven for approx 12 mins. Remove from oven, but keep it running. Carefully spread the apricot jam on top of the bars. Sprinkle with sliced almonds. Return to oven and bake for another 10 minutes. Remove from oven and cool on a rack (they will appear softer at first but will firm up as they cool). Cut into pieces and enjoy! Store leftovers in a sealed tupperware container (I kept mine refrigerated). 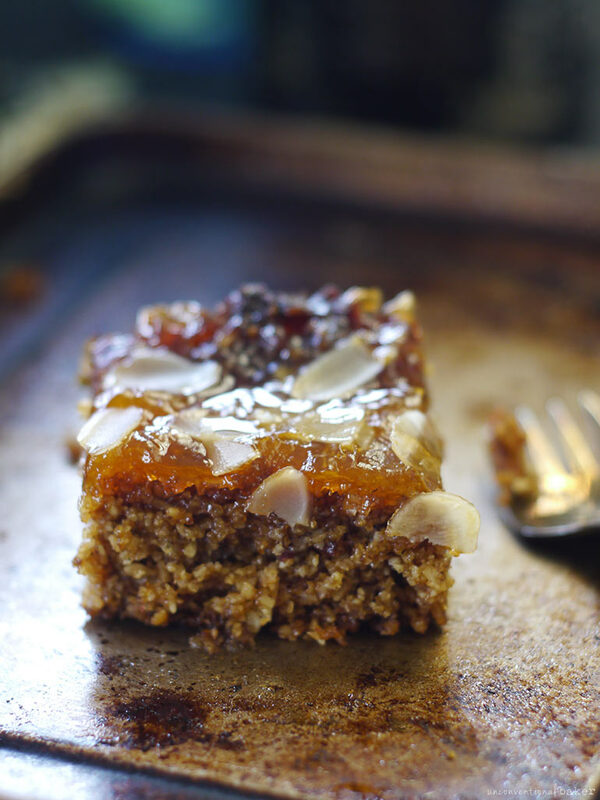 *You can make this recipe nut-free by substituting another cup unsweetened shredded coconut for the sliced almonds (though they do add a nice flavor and texture, so if you’re not almond-free I recommend keeping them in). 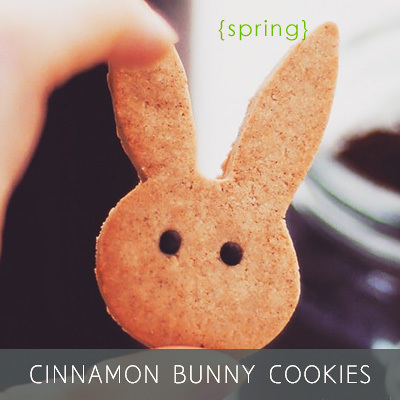 **I actually ran out of maple syrup while making these, so used 1 tbsp maple syrup + 6 tbsp date syrup. To keep the ingredients simpler, I say go with just maple syrup (which is what I recommended in the recipe) and use a bit less (hence the recommendation for only 6 tbsp maple syrup even though I technically used 7 tbsp sweetener. You could probably use even less if you like things less sweet). ***If you’re going for a nut-free version, you can just skip the sliced almonds. Or you can add a bit of coconut at the very end of the baking process and bake with the coconut on for just a few minutes until it gets toasty. It tends to burn very easily though, so keep an eye out. 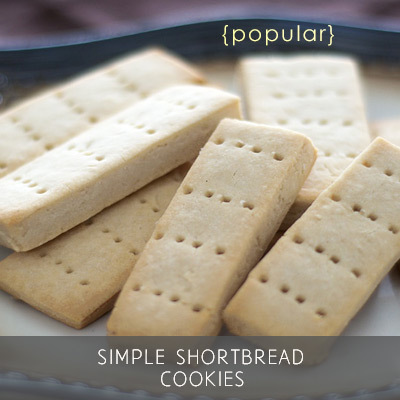 This recipe contains an affiliate link to the jam I used. I just made this recipe and didn’t work at all! It all fell apart when I cut it…. crumbs crumbs…. so disappointing! I wonder if you forgot something on the recipe? Hi Andrea. Sorry the recipe didn’t work out for you. Did you change anything in the ingredients or the process by any chance? Sometimes small changes, or things like not adding enough of something can make a big difference. 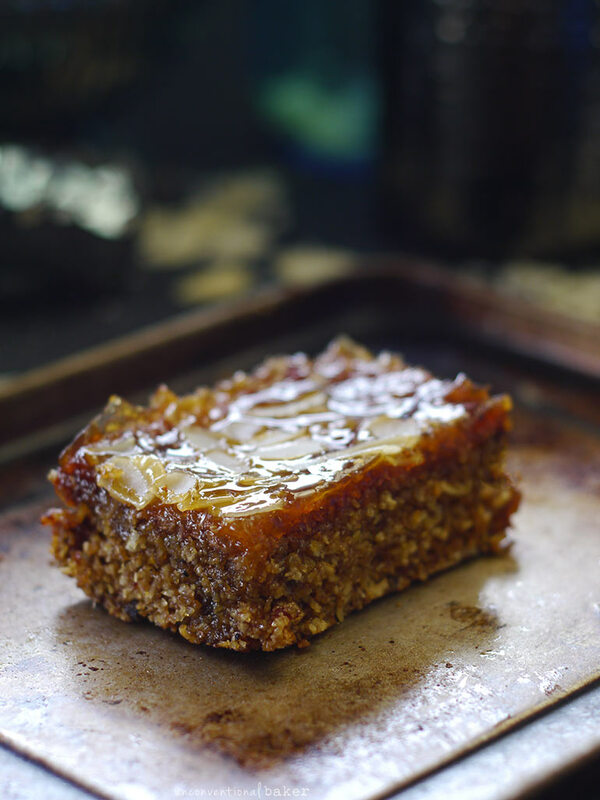 Assuming nothing was changed in the ingredients though, when bars get crumbly, the reason usually is that they either weren’t compressed enough before being baked or the ingredients weren’t processed finely enough (to become a sticky fine crumble). The compression helps the bars bake into shape. The processing helps the mixture to compress better (if the mixture is too coarse, then things won’t “stick” as well). Heh. Yeah, I know what you mean — if someone asked me what’s my favorite kind of dessert, I wouldn’t go straight to apricot, but when I see them I always want some, especially when it’s all glossy and caramelized ?